Inspired by Deepak Chopra’s and Oprah Winfrey’s recent meditation challenge on Miraculous Relationships I want to talk about feeling loved and learning to love yourself. 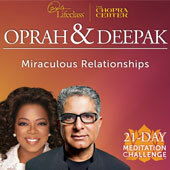 The last day of the challenge, the centering thought Deepak had us repeat was “love begins with you“. It truly does. If you did the entire meditation challenge you may have noticed that the first week or so of the meditation challenge, which focused on relationships, focused soley on loving ourselves. That is because the foundation for healthy, loving relationships is having a loving relationship and feeling love for ourselves. Most of us don’t realize or forget that. That’s not to say you can’t have a loving relationship without being able to love yourself. It’s that the quality of that relationship, the dynamics of that relationship, the way you see the world and your life is intrinsically different when you love yourself. Many of us see life as a never-ending struggle, as an unfullfilled experience, a relentless search for satiety where we search for love or something else in our external world to make us feel complete …never realizing that what we’re searching for is inside us and has been with us all along. The message we tell ourselves is that when …in the future.. I meet that person, I finish school, I get my dream job, I have a house, I have a fancy car, designer clothes, I am debt free, I retire, I have grandchildren… I will be happy and complete. 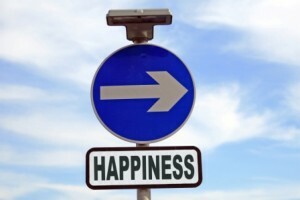 With that happiness and wholeness always residing in a fantasy future and the present being not enough and unfulfilled. The hole we are searching to fill with this person, event, or thing in the future is love for ourselves. Understanding that no matter our present circumstances, we are perfect, we are whole, complete, worthy of love (both giving and receiving love), and to connect with that feeling and enjoy that feeling in the present – that is the magic we are searching for. 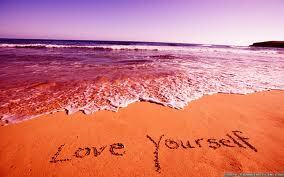 Ask yourself this question – Do I love myself? What is your answer? If your answer is a resounding booming yes – you get it, you understand this concept, and this article is just confirming what you know is true. For many of us though, the answer is uncertain – “I think so” or “of course I do? right? aren’t I supposed to?” or “I don’t know“. You may even have trouble checking in with yourself and “feeling” the answer to the question. You are just faced with this dull, uncertain void. For many of us, our sense of self-love that we were born with has long been abandoned or been drowned out by criticism, self-loathing, negative tapes playing, so much so that we can’t even remember the last time we felt filled with love for ourselves. Feeling love for ourselves is different from feeling good about things you did for someone else or accomplished (getting a promotion, getting engaged, having a child, planning a special birthday party, or making someone feel good about themself). It’s about looking in the mirror and feeling love for you just being, just breathing, for existing. Letting go of seeing ourselves with criticism and judgement. Some of us only know love as something we tap into when we feel it for other people, beings, experiences or things we love. I would break learning to love yourself into two key steps. The first is developing awareness of your thoughts about yourself and the second is learning to love yourself. When you accomplish loving yourself, unconditionally, truly, deeply, everything in your life and the way you see the world shifts. If you start tuning into your feelings, you can start to explore the internal dialogue that goes on in your mind. Often we’re not aware of the messages we tell ourselves because it’s such an automatic process that goes on in our mind but we are always able to tune into how we’re feeling. If you can tune into the times when you don’t feel loved, you feel critical, you feel bad about yourself – using the feeling as an alert signal – you can then explore that feeling like a curious child. What is here? What caused that feeling? Why do I feel that way? When have I felt this feeling before? The underlying answers might surprise you. It may be helpful to write down some of the messages you notice or become aware of. 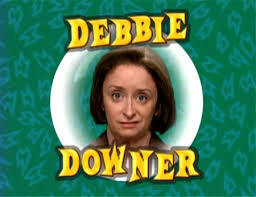 You may be surprised to discover you have a little internal “Debbie Downer” in your head. Perceiving what happens around you and creating a negative dialogue. Internalizing what goes on around you in a negative way and tying it to your self-worth. Where do these messages come from? You may have grown up around people who criticized you and caused you to develop a low sense of self-esteem or you may have perceived things that happened in your life in a negative way. Regardless of the source you can start to rewrite those negative messages. There are a number of ways we can start to generate feelings of self-love for ourselves. These are but a few. You need to try these practices for a solid month to really start to feel their effect. See how they feel when you say them and read them everyday to fill yourself with the love-filled feeling these positive messages bring (see my blog link posted above for guidance on using affirmations). Being kind to yourself – if you have low sense of self-love you likely are used to accommodating others and ignoring your own needs. It’s time to start being kind to yourself. Start saying no to things you are dreading and just doing to please others. 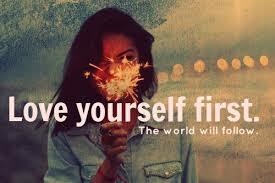 Start doing something every day as an act of love to yourself. It might be giving yourself a foot massage, taking a bath, taking a walk in nature, ignoring a phone call and choosing some time for silence and peace for yourself. You may find it awkward to do at first but empowering each time you practice it – treating yourself with loving kindness. Look at yourself with love – practice looking in the mirror at yourself with loving thoughts. This is especially hard to do when you’re in the buff with no enhancements but give it a try. Look and try to see love reflected back at you in your eyes, smile at yourself, drop the criticism and tendency to look for faults. Try being excited to see yourself – like the feeling of when you run into a friend you love unexpectedly or see someone you love that you don’t get to see often. Do this daily and start to see yourself through loving eyes. Let go of criticism, self-judgement, and perfectionism – All these practices diminish us and make us feel we are unworthy unless we do something to earn it. Try being kind to yourself in your internal dialogue. Think supportive loving thoughts. Be compassionate with yourself. Treat yourself like you treat your best friend when they’re going through a hard time. Be your BFF. Let these thoughts go like a helium balloon into the air and breathe the sigh of relief that comes with shutting down your inner critic. Think of something nice to say about yourself to yourself everyday – start to replace the old negative critical comments with loving comments noticing things about yourself you take for granted. It can be physical, emotional or spiritual qualities or recognizing your qualities in action. Notice the energy drains – As you work on building yourself up and filling yourself up with positive energy you may start to be very sensitive or notice people or situations that are energy drains. Could be a coworker, family member, or someone else who goes on a negative rant or is just difficult to be around or a job that’s not the right fit. You can start by giving yourself little breathers from these people or situations when it is too much. Leave the room, go for a walk, get a coffee. If it’s your job, start to think about what you’d like to do and take action to start moving to a more positive work environment or career. It may be cutting phone calls short with people who drain you (remember you aren’t doing them any favors by letting them stew in their negative story). Do some shielding and surround yourself with white light and fill yourself with love before and after being in these situations. Toxic relationships – Further to the previous point, if someone is really a continuous drain you may want to consider letting them go from your life. Let go of someone toxic in your life and let someone loving into your life. It’s funny how the universe does this for us. We are often, when we have low-self esteem or in a toxic relationship – for some reason – scared of letting go of it – be it obligation, fear of being lonely, fear of conflict. The Universe is kind to us though and you will find when you let go of a relationship that is toxic not only you feel a big sigh and sense of relief and liberation – but the Universe will send someone in who is living at a higher, more positive frequency to replace that person. It is also empowering to choose happiness and let go of toxicity. Bask in gratitude – See the blessings in your life and each day note the things you are grateful for and feel the shift being grateful brings into your energy field ..into how you feel. 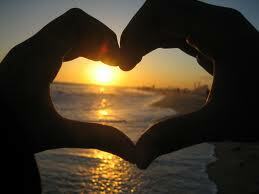 Start to see the world as a loving kind place and you in it – as a loving kind being. Take care of yourself – Don’t let yourself run yourself ragged. Get sleep when you need it. Seek medical care when you need it. Eat healthy foods. Exercise even if it’s walking. Start to care for yourself in a loving way. Sometimes when we don’t love ourselves we neglect ourselves. Let go of your negative stories – Maybe you focus on the past and negative stories or see negative things happening to you in the future. Let go of these stories. If it’s in the past, it’s already happened and reliving it over and over only tortures you. If it’s a negative future, try to picture positive and exciting things around the corner. See yourself as a happy and loving person in your future. Recognize it’s your ego that keeps you focused on the past and future as being more important than what is happening in the present. Let yourself let go of past regrets and negative future forecasting and just bask in the present and focus on the positive aspects in your present (bask in that gratitude and self-love). Learning to love yourself is a process and truly a gift – because it’s not something someone can give you or that you can buy but it’s something that is totally in your power to give yourself – and no one can take it away from you. It takes time but learning to love yourself will truly change your world and you will fill full from the inside out and then be able to share that loving self with the world.